hi guys! hope you’re enjoying a bit o’ RnR and watching your favorite guilty pleasure! you may remember about this time last year when i was asked to spruce up an apartment in paris. of course i was thrilled and when the owner said i should ask the bloggers for their opinions and naturally, i did just that. you also may recall that the owner got really offended by the suggestions. she thought we said she had bad taste and told me to %#@ off! i was bummed of course for the misunderstanding but also cause it was a dream of a lifetime! well, another chance has come along. 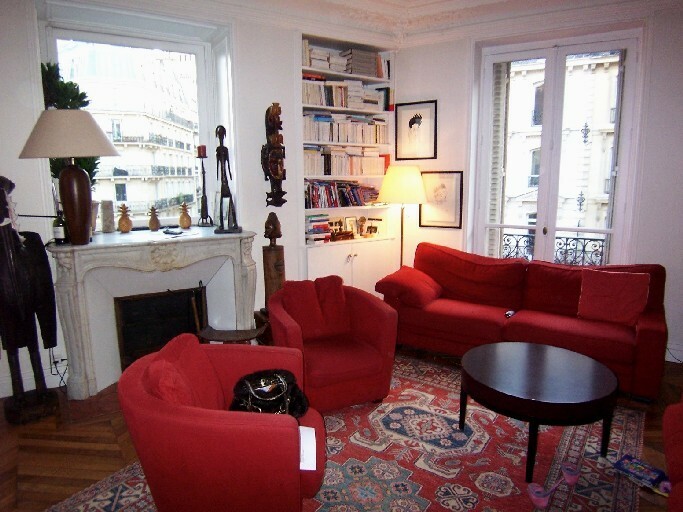 this particular client just purchased a two bedroom in the 5eme. we’re going to meet in the spring and decorate floor to ceiling in a week. 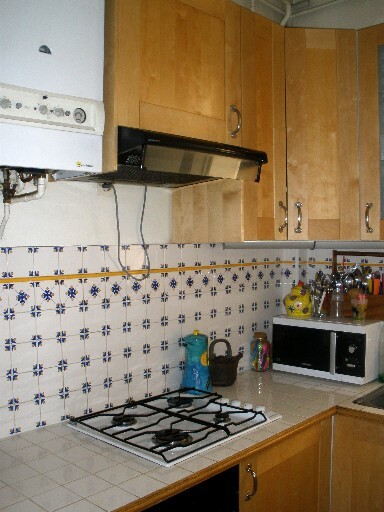 and (thank god) this one really does have good taste (these are before pics. i know you know but someone may not)! she said: I really want to maintain the traditional style of the apartment. I have a good idea of how I’d like to furnish it. I’d like an elegant, cosmopolitan, warm, comfortably romantic Parisian apartment. I like a mix of old and new. of course we’re shopping for it all at the fleamarket so everything’s right at our fingertips. (it’s almost cheating). the kitchen and bath will get renovated before i get there. but the bedrooms, living and dining rooms are ready to go. ok, with this shot you may have to really use your imagination. oh, who am i kidding? i think we all see the potential here, even with this decor. more soon, bonne nuit! October 9, 2009. 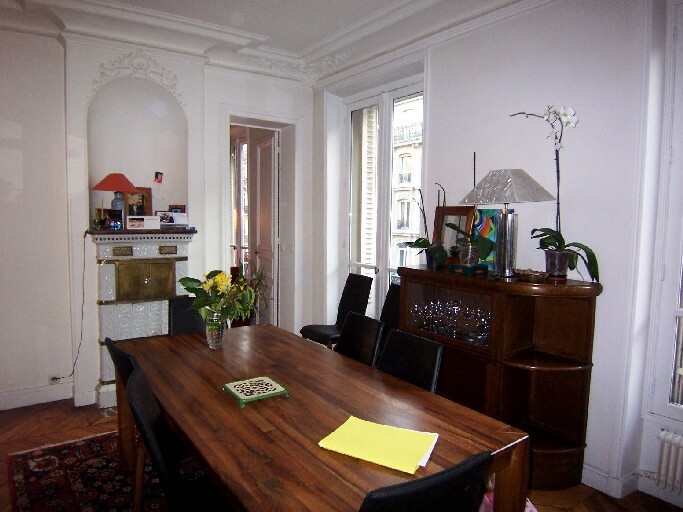 Antique Shopping, Decorating, Dreams, Fleamarkets, France, Paris, Paris Apartments, Real Estate. I can’t wait to see it when it’s done. October 9, 2009 at 1:49 am. Permalink. Your new client has a beautiful place! I really love the walls, ceilings, mouldings and that niche! Is there a mirror over the fireplace or is that a window? I can’t tell. I’m sure with your design skills it will look magnificent when you finish! ‘m sorry about the previous “client.” I wonder if she actually liked the suggestions, and just carried it all out on her own? October 9, 2009 at 4:02 am. Permalink. October 9, 2009 at 3:11 pm. Permalink. Oh, I tried three times and 75% of the photos won’t load, what I can see is great though! October 9, 2009 at 4:35 pm. Permalink. October 9, 2009 at 10:36 pm. Permalink. hey guys! are you seeing the pictures? for some reason some people are having trouble with them. i was but now i see them! i appreciate your feedback! October 10, 2009 at 12:57 am. Permalink. Have fun working your Magic Claudia! October 10, 2009 at 1:47 pm. Permalink. October 14, 2009 at 6:20 am. Permalink. January 16, 2010 at 1:17 pm. Permalink. hi judy, CoNgRaTuLaTiOnS!! sounds like a dream! i’m not an architect but can recommend some great people to you, i’ll write to you from my email and send you some contacts. January 18, 2010 at 7:19 pm. Permalink.